Life Teen is a high school group that meets regularly all year long. 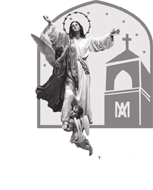 During the academic year we meet for Lifenights every Sunday after 6 PM Mass and for Summit every Monday at 6 PM. During the summer our Lifenights conclude in lieu of several weekly events. See schedule for details. While being a part of the program is as easy as showing up on Sundays, there are retreats, conferences, and other events that do require registration. Please call the parish office to see what events are coming up. Because teenagers tend to be in a period of their lives different from any other, oftentimes they can find themselves rebelling or shutting down when the faith is discussed. There is a lot of pressure on them to be accepted and wanted by others, and it can be a great temptation to disregard the faith. We believe the law of God is written on the hearts of all people (Romans 2:15) and that “it is Jesus [we] seek when [we] dream of happiness…” (Pope St. John Paul II). We believe that our hearts are restless until they rests in the Lord (St. Augustine). Sometimes, youth don’t know that the answers to all of their big questions is in the Lord and faith He has given us. The youth of our world are searching for fulfillment and joy just like everyone else. Fortunately, we have our great God who understands that and provides for our every need (Psalm 16:11, 22:26, 107:9, 145:16, Matthew 7:7-8, John 4:14, 6:35, etc). It is our firm belief that “Each of us is willed. Each of us is loved. Each of us is necessary.” (Pope Benedict XVI). Each teen who joins us for a Lifenight, Summit, or another event, is a necessary and important part of the Church and of the world. As a Core team, we recognize that, and regard each teenager and family with the respect due to them: for they are not only on the road to sainthood, but cherished and bled for by Almighty God. And so we hope to continue the work done by their previous Catechism programs: to deepen the faith and sense of belonging to the Catholic Church, to committing themselves to a personal relationship with God characterized by a vigorous sacramental life, a lifelong pattern of prayer, Christian service, and growth in their understanding of the Catholic faith. Our hope is not that we will form educated students, but that we will form dedicated disciples.